Staying healthy at work while you are pregnant is sometimes challenging: you may be dealing with morning sickness, back pain, or doctor’s appointments every few weeks. U.S., New Jersey, and local laws can help you stay healthy at work, give you time off when you need it, and protect you from pregnancy discrimination. Your boss can’t fire you or cut your hours when she finds out that you’re pregnant—you have the right to keep working as long as you can still do your job. You also have the right to be free from harassment at work because you are pregnant. You cannot be asked about your pregnancy or plans to have children in a job interview. Your employer can’t treat you differently from other workers just because you are pregnant. The Supreme Court just decided a case where they clarified what this means. The Court said that employers may not put a “significant burden” on pregnant employees. How do you know what’s a significant burden? Start looking around at how your employer treats other non-pregnant employees who have needed an accommodation at work. For example, does your employer have a policy of giving light duty only to those with on-the-job injuries? Or did they have no problem helping out folks with non-pregnancy related disabilities, but sent all the pregnant women out onto unpaid leave? If so, this could be evidence of pregnancy discrimination. Since we are still waiting for further clarification of how this standard works, it’s best to collect all the evidence you can (policies, employee handbooks or manuals, digging around to find out how others have been treated) and to discuss your particular situation with an attorney. The New Jersey Law Against Discrimination also bans pregnancy discrimination, and covers all employers regardless of size. All workers except for domestic workers are covered. If you need changes at work to stay healthy on the job, the laws below can help. In addition, click the green button to learn how to talk with your boss about your pregnancy and request an accommodation if you need one. Your boss can’t just fire you if you ask for a bigger uniform or light duty while you are pregnant—she has to give you what you need to stay healthy at work, unless your employer can show that it would seriously harm the business. You must ask for the accommodation based on the advice of your doctor. Examples of accommodations explicitly covered by the law include bathroom breaks, breaks to drink water, periodic rest, assistance with manual labor, job restructuring or modified work schedules, and temporary transfers to less strenuous or hazardous work. Your boss cannot fire you, refuse to give you a promotion, or harass you because you have a pregnancy-related disability. If you have a pregnancy-related disability, your boss cannot refuse to give you small changes at work that you need to stay healthy, like breaks to take medication, temporary relief from heavy lifting, or a stool to sit on during your shift. These changes are called “reasonable accommodations” and are available as long as you can still complete the basic duties of your job with those changes. Your boss does not have to give you an accommodation that would be very difficult or expensive, like building a whole new office. Although pregnancy, by itself, is not considered a “disability,” some conditions of pregnancy may be disabilities so check with a lawyer to see whether you have a right to an accommodation at work. The New Jersey Law Against Discrimination also bans disability discrimination, and covers all employers regardless of size. All workers except for domestic workers are covered. If you are covered by the Family and Medical Leave Act, you have the right to take time off during pregnancy without losing your job. See the “Leaving Work for Childbirth and Bonding” section under the next tab for more information. The U.S. is one of the only countries in the world with no national law guaranteeing women the right to paid leave for childbirth. However, you may have the right to paid leave and/or unpaid leave during pregnancy, childbirth, and to bond with a new child under New Jersey law. Birth mothers who work in New Jersey can get some cash benefits while they are unable to work because of pregnancy and childbirth under New Jersey’s Temporary Disability Insurance program. Most pregnant workers are eligible for disability benefits for up to 4 weeks before their due date and up to 6 weeks after delivery. You can receive two-thirds of your average weekly wage. Unlike the FMLA, this program does not protect you from being fired while out on leave. That means that if you are not eligible for FMLA or NJFLA, you can lose your job while taking time off and receiving TDI payments. TDI only covers your period of disability, not bonding, so it’s important to start collecting it right after you give birth or you could lose out. If you are planning to use any sick days, vacation days, or other time off after you give birth you should take them after your TDI payments run out. Alternatively, you may be able to collect TDI and paid time off at the same time—check with your employer or union about this. 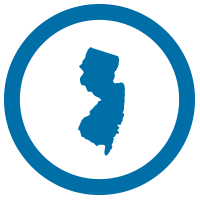 If you work in New Jersey, you are also likely eligible for the Family Leave Insurance program. This program provides payments for up to 6 weeks when you need to care for a new child during the first 12 months after birth or during the first 12 months after you adopt, or to care for a family member with a serious health condition. Like TDI, the benefit is calculated as two-thirds of your average weekly wage. Like TDI, this program does not protect you from losing your job. That means if you are not covered by FMLA or NJFLA, you can be fired while you are on leave. The law may protect your job while you are taking leave due to pregnancy, childbirth, or to bond with a new child (including adopted and foster children). If you are covered, the Family and Medical Leave Act (FMLA) allows you to take up to 12 weeks of unpaid time off of work per year for a family health emergency or to take care of a new baby— without losing your job (or your health insurance, if you have it). Only about half of all private sector workers in the U.S. are covered by the law! You must 1) work for the government or a company with 50 or more employees within 75 miles of your worksite and 2) have worked with your employer for at least 1 year and 3) have worked at least 1,250 hours in the year before taking leave. If you are covered, you can use the 12 weeks to care for your own health (including pregnancy), to care for a new child after birth, adoption, or foster placement, or to care for a seriously ill family member. Remember that you only get 12 weeks a year in total—if you take time off before you give birth for your own health needs, you’ll have less time afterward to spend with your baby. Before giving birth, you may use your leave an hour or day at a time—such as by taking a day off per week to go to the doctor— rather than all at once. Your employer must approve, however, if you want to use leave time in smaller chunks to bond with your baby. While you are on leave, you have the right to keep your benefits. When you return to work, you have the right to return to the same or a similar job. If you are in the top 10% of highest-paid workers in your company, different rules apply. New Jersey has a law that is very similar to the FMLA but covers a few more workers— the New Jersey Family Leave Act (NJFLA). If you have worked for your employer for 12 months, you are eligible for job-protected, unpaid leave under this law if you have worked at least 1,000 (rather than 1,250) hours with that employer in the past 12 months and your employer has 50 employees worldwide (rather than just in a 75 mile area). Unlike the FMLA, you cannot use NJFLA leave to recover from your own illness or pregnancy-related disability. If you are covered by both NJFLA and the FMLA you must take both types of leave at the same time. However, if you need to take time off for your own pregnancy-related disability (for example, if you are placed on bed rest) and then need time to bond with a new child, you can use the FMLA and the NJFLA back-to-back and end up with as many as 24 total weeks of leave. If your boss treats workers who take time off for childbirth differently from workers who take time off for other medical treatments (for example, she gives most workers 2 weeks off for surgery but only 1 week for childbirth), this could be illegal under the national Pregnancy Discrimination Act and New Jersey discrimination laws. Call A Better Balance if you think you are being treated unfairly. When you return to work as a new parent, you may still need a few extra breaks to pump breastmilk or time off to care for your baby when he’s sick. There are a few laws that can help you get back to work safely and still care for your family. If you are disabled for a period of time after childbirth, the Americans with Disabilities Act and New Jersey disability laws, discussed in the “While You’re Pregnant” tab, may apply. If so, you may be able to get an accommodation at work, such as light duty, while you recover. Even if you are not disabled, New Jersey’s pregnancy accommodations law, discussed in the “While You’re Pregnant” tab, may give you a right to accommodations while you recover from childbirth. You have the right to express or pump milk at work. If you work in New Jersey, your employer must provide you unpaid break time to express breast milk. They also must try to provide a private location, other than a bathroom, for you to pump, and cannot discriminate against you for expressing milk at work. Your employer also cannot punish or discriminate against you because you are lactating. The Affordable Care Act (“Obamacare”) gives some U.S. workers the right to take unpaid breaks at work to pump milk, and requires some employers to find a clean, private place that’s not a bathroom for employees to pump milk. This law only applies to workers and employers who are covered by the Fair Labor Standards Act (FLSA)— the law that sets minimum wage and overtime requirements. It may be illegal under the Pregnancy Discrimination Act for your boss to punish or discriminate against you because you are lactating. Under New Jersey law, you also have the right to Breastfeed Your Child in any public location. For more information about your nursing rights, click here. As a new parent, you may face discrimination at work or have problems taking time off when you or your baby is sick. These laws can help you balance your job and caring for your family. If you are covered by the FMLA, you have the right to take time off to care for a seriously ill family member. See the “Leaving Work for Childbirth and Bonding” section above for more information on this law. If you work in New Jersey, you may have a right to paid sick time, and to use the time to care for your own or a loved one’s illness or injury, to address certain “safe time” needs for you or a family members is a vicim of domestic violence, sexual assault, or stalking, or to attend a child’s school-related events. If you have a right to paid sick time, you can accrue 1 hour for every 30 hours worked and may use up to 40 hours per year. For more information about your rights, click here. Some workers in New Jersey are protected from Caregiver Discrimination. If you work for the State of New Jersey, you are protected from discrimination at work based on your “familial status.” That includes discrimination against you by another state employee or by anyone doing business with the state. Several localities in New Jersey, including the cities of Newark and Passaic and the boroughs of Rocky Hill and Wanaque, have outlawed discrimination against city employees based on familial status or family responsibilities. Click here for a full list. The Americans with Disabilities Act also bans unfair treatment of workers based on their relationship with a disabled person. For example, your boss can’t cut your hours because he thinks you can’t work as hard because you have a child with asthma. However this law does not give relatives of a disabled person the right to accommodations, such as a schedule change, to help them provide care.